Artist Doug Auld has been working on this incredible series of work recently that has inspired us. Here is a sneak peak so far! a person who informs on someone engaged in an illicit activity or coverup. RFK Jr. has been warning us for years about crony capitalism and is a leader in democracy preservation, the environment and how we need to proceed globally for a sustainable future. Below Chris Stone wrote a great piece on RFK Jr. and we would like to share it with you. Warning about the “milestones of tyranny,” Robert F. Kennedy Jr. warns that crony capitalism can undermine democracy and lead corporations to see U.S. workers and the environment as mere commodities. Kennedy, a New York environmental attorney, made the remarks to more than 200 participants at a conference about conserving the environment through alternatives. The event—sponsored by Heartland Coalition and United Green with the help from Mount Helix resident Miriam Raftery—featured panel discussions about energy and natural resources by local political figures and specialists. Kennedy, 60, is the second-oldest son of Robert F. Kennedy, assassinated in 1968 in Los Angeles during his bid for the presidency. He spoke without notes or prompter for about 80 minutes about his vision for a national electrical grid, solar energy, wind energy and electric cars and the obstacles in the path—polluters and corporations that he said circumvented the free-market system and sought to dominate the government. Kennedy, who has worked in environmental causes for more than 30 years, is the chief prosecuting attorney for Hudson Riverkeepers and for the Natural Resources Defense Council and is a partner in VantagePoint Ventures. “Whenever you see large-scale destruction of the environment, you also see the subversion of democracy,” the activist said, adding that destruction takes place at local levels where regulations are subverted and transparency disappears. But he asserted that business shouldn’t run government because businessmen “don’t want the same thing for America that the American people want. Instead, he said, they seek profits, control and a competitive edge. “The first thing that happens in any tyranny is for the powerful entities of society to privatize public trust and turn a profit for themselves,” he said. The high court’s Citizens United case allowing unrestricted political spending by corporations and unions is the “death knell of democracy,” he said. Since that decision, corporations use their surplus money to invest in the political campaign process, Kennedy said. He recalled a conversation about West Virginia with his father when he was 14. Kennedy said his father, a senator from New York, told him that in addition to polluting the environment, the coal companies permanently impoverish a community by making its land unusable in the future. Kennedy said his father concluded they were out to break the unions. In fact, his father said there were 149,000 union workers in West Virginia. Today there are only 14,000. “Nine out of 10 jobs were eliminated not by environmental rules but by a ruthless, deliberate and systematic strategy by the coal industry to eliminate jobs and replace them with machines and explosives,” he said. Kennedy warned that corporations want to spread this “colonial model of the economy” across the country. Coal companies in West Virginia have cut off the tops of 500 of the tallest mountains in the Appalachians by means of detonating 2,500 tons of ammonia nitrate explosives every day—equivalent to weekly blasts of a Hiroshima bomb, he asserted. Dangerous levels of mercury has been found in all fresh fish sampled in this country, he said, quoting a National Academy of Science study, adding that the Centers for Disease Control links autism with mercury in fish. That study indicated that one in six American women have dangerous levels of mercury in their wombs and 640,00 babies are born with high levels in their systems, he said in a lecture room in the Excercise and Nutritional Sciences Building. Kennedy said the Environmental Protection Agency pins the problem on ozone particulates from coal burning plants. To that end, he advocated a national electrical grid, which could be put into effect the same way the Internet has been brought into almost every home. Kennedy also spoke of promising technology he is involved in including light bulbs that last for 30 years, Tesla Motors electric cars, wind farms in the Midwest and solar power stations. Despite Obama administration efforts toward renewable energy, Kennedy said the major obstacles are government subsidies for the oil industry and the lack of a grid that could carry alternative forms of energy across the country. Yet he pointed to Iceland, Brazil, Sweden and Costa Rica as nations that have decarbonized their energy economy and have prospered. Kennedy estimated that hundreds of thousands of jobs could be created through alternative energy efforts such as creating an electrical grid, weatherproofing homes, installing solar energy and insulation. While China plans to invest $750 billion on wind and solar technology over the next five years, he said, he encouraged America to take the lead in electric energy. The 13 Moon Walk 4 Peace was the 4th in a series of Walks sponsored by the Spirit of Truth Foundation from 2000 to 2011. The first walk was a walk of healing and reconciliation from Pennsylvania to Georgia, on the Appalachian Trail. The walk was called the Trail of Dreams Ancestral Journey and our purpose was to reconcile the atrocities of the Atlantic Slave Trade and the Trail of Tears. The second walk was in 2002, as the walkers crossed the Atlantic Ocean and continued with the prayers and reconciliation in the slave dungeons and along the routes where Africans were captured and brought to the USA as slaves. From 2005 to 2009, walkers began a global walk for peace (the Trail of Dreams World Peace Walk). Walkers walked six continents, engaging communities, learning from elders and sharing our common concerns for Mother Earth and all life – especially the voiceless. Then on October 10, 2010, walkers began the 13 Moon Walk 4 Peace. The 13 Moon Walk 4 Peace, as were previous walks, was a people’s walk and was scheduled in alignment with the lunar calendar, which is, according to ancient tradition, the calendar of cooperation. It also aligns with the sacred feminine, which is important to the walkers as their goal is to touch the “heart” of America, to affect healing and transformation in the way we relate to each other and Mother Earth. This will open the way for compassionate leadership at a time when our country needs it most. Walkers were from diverse cultures, ancestry, genders, and faiths. The 13 Moon Walk for Peace began in Atlanta, GA, where the Sacred Fire of Thunder, honoring the Great Law of Peace, from Six Nations was passed to the Walkers. The Sacred Fire of Thunder journeyed from Six Nations (for information see: Soul of the Mother, whose mission is to offer Ancient Indigenous wisdom as a means of awakening the true loving essence of the human spirit. We join with the natural rhythm of the heartbeat of our Mother Earth and we are governed by the sacred world of the Spirit.) through communities along the east coast to reach Atlanta in time for the walk. Walkers engaged grassroots groups across the country (42 cities and reservations) to raise awareness of issues affecting our communities, and to highlight grassroots groups and organizations that are making a difference in their communities. As I write this article, we are preparing for the conclusion of yet our 5th walk, Out of Washington Comes Respect for Mother Earth – A Walk for the Environment from Washington, DC to Tuskegee, AL. Central to all of our walks is the inclusion of ancient practices and ways of coming to understanding ourselves in relationship to the world around us that we may be better caregivers to each other, Mother Earth and all living beings. In this spirit, we joined with the Heal the Atmosphere Association to share with communities along the walk something that anyone can practice Agnihotra or homatherapy as a “solution to pollution”. Agnihotra is the process of purifying the atmosphere through specially prepared fire. This healing fire comes from the Vedas, the most ancient body of knowledge known to man. This declaration affirms my abiding belief in humanity that we can justly acknowledge our collective history and develop a new relationship that propels us into a future where peace is a lived consciousness each day and the new brotherhood, founded on mutual respect and the celebration of diversity, guides us into falling in love with all of creation. The Code of Life is written on the land, in our respective homelands throughout the world where we walk on the faces of our Ancestors and renew our commitments to a life of peace. Our reconciliation is both human based and with our Mother Earth who must be revitalized from the vestiges of war and conflict. In my prayers I return to the Original Instructions that our Creator gave to all Beings, human and those seated in His Council of Creation. I acknowledge the suffering of genocide to all Indigenous white peoples, black peoples, yellow peoples and to our red peoples throughout time. I pray for forgiveness, reconciliation through ceremony and for the emergence of a new relationship leading us forward as Human Family in this profoundly exciting New Era of Humanity. I acknowledge the physical and emotional results of genocide as racism, poverty, classism, displacement, loss of homelands, betrayal, profound grieving, oppression of ancient spiritual traditions rooted in the land and in Spirit, and loss of cultural treasures and wisdoms. How do we rebuild what has been lost? How do we collectively meet the future to ensure that the reality we create for the unborn is one of deep love and respect for diverse peoples, an honest reflection of our core human values that we treasure, humbly seeking a life way that is sustainable on our Mother Earth, firmly establishing a place of honor for all ancient Indigenous wisdoms, boldly and fearlessly building a new paradigm based on Spirit of all religious and spiritual traditions and establishing a path of truth for generations to come? I believe in the inherent good of all human beings. I also believe that the greatest enemy of all we hold dear is not each other, politics, money, power or influence, governments or transnational corporations. It is the mind of the human being that is poisoned with ego when the heart and spirit is not connected to the Creator as the greatest power in the universe. We need sacred spiritual guidance each day in our prayers so that we can manifest the sacred here on Mother Earth. We live in a deeply sacred time, the crucible of humanity is now. We are being birthed and launched into the era of living spirit where all prophecies are fulfilled and converge from every deeply rooted ancient spiritual tradition. It is the Era of Living Spirit. We are so fortunate to be alive to play our respective roles in this divine process. In my language of Mohawk, I say each day, “kanaronkwa”. It means, “we bind ourselves together in the spirit of the Creator’s greatest medicine that is love. In doing so, we fall in love with each other and with all of Creation. I suggest the declaration use the word LOVE in many languages as respective peoples and organizations sign on. Common to our walks since 2005, has been the presence of the World Flag. We uphold the mission and goals of the World Flag. Our Mission is to inspire positive global change by embracing and celebrating cultural diversity. Our Goal is to raise awareness of countries, territories, and indigenous peoples around the world, awakening a united focus on world health, human rights and our environment. A. die gemeinsamen Symbole, die sich in den Flaggen der Welt befinden und wie sich die Zeichen der Allgemeine Erklärung der Menschenrechte, http://www.un.org/events/humanrights/udhr60 [auf Deutsch: http://de.wikisource.org/wiki/Allgemeine_Erkl%C3%A4rung_der_Menschenrechte] in der Weltflagge widerspiegeln. der Grundlagen des Symbolismus und der Online Forschung haben. die im Flaggendesign versteckte Symbolik und ihre Verbindung mit der Allgemeinen Erklärung der Menschenrechte identifizieren können. A. Der Lehrer / die Lehrerin präsentiert die Weltflagge mit ihrer Symbolik. B. Der Lehrer / die Lehrerin diskutiert mit den Schülern die Bedeutung der einzelnen Nationalflaggen. C. Die Schüler werden in 3-4-köpfigen Gruppen geteilt werden. E. Die Gruppen sollen die jeweils erhaltenen Nationalflaggen auf der Weltflagge finden. Danach sollen die Gruppen auch eine Recherche auf der Weltflagge Website per Mausklick auf den Weblink der jeweiligen Nationalflagge betätigen und, falls nötig, in anderen Materialien nachforschen um grundlegende Informationen über die Länder der Weltflagge zu finden. Jede Gruppe wird ein Land auswählen um es ausführlicher zu analysieren, mit Schwerpunkt auf die Symbolik der Flagge des jeweiligen Landes (online Forschung). Um die Symbolik der Flagge darzustellen, werden die Schüler/Schülerinnen eine Zeichnung bzw. ein Poster erstellen. Sie sollen auch den Artikel der AEMR bestimmen welcher zu der Flagge am besten passt. Erörterung der Schlussfolgerungen an die ganze Klasse. Diskussion über die Ähnlichkeiten und die Zusammenhänge die sich in den Präsentationen ergeben haben. Gruppendiskussionen über die Deutlichkeit der Symbole und wie die Symbole uns Menschen aus aller Welt verbinden. 7.1 Verständnis der komplexen Perspektiven und der globalen Zusammenhänge. 7.2 Analyse bezüglich der räumlichen Einrichtung der Menschen, der Orten und der Umwelt auf der Erde. 7.3 Analyse der physischen Eigenschaften und der Menschen der verschiedenen Orte und Regionen. 7.4 Erklären, wie die Geographie den Menschen das Verständnis der Verbindungen zwischen Leuten, Orten und der Umwelt im Laufe der Zeit ermöglicht. 7.5 Verständnis dafür zu entwickeln, dass alle Menschen (in den einzelnen Ländern) Rechte bzw. Pflichte haben. Die Schüler müssen eine Flagge mit Benutzung von mindestens drei Symbolen erstellen. Die Schüler werden fähig sein, die Weltflaggensymbole identifizieren und erklären zu können. Die Einrichtung der Flagge ist nicht zufällig. Im weißen Hintergrund in der Mitte steht die Erde. Der Frieden und die Reinheit werden durch das Weiße, während die Natur durch das Grüne symbolisiert. Das Weiße von Japan führt die Augen nach unten, deswegen zeigt sich ein Image eines Flaggenmastes. Dies wird dann eine Flagge binnen der Weltflagge und symbolisiert auch den Buchstaben „P“ für Frieden [auf English „peace“]. Die Drehachse der Flaggen von Santa Lucia, dessen Dreiecke nach dem Himmel streben, symbolisiert das zerbrechliche Gleichgewicht der Umwelt und der Nationen auf der Erde. Japan (links) ist eine der reichsten Nationen und Bangladesh ist eine der ärmsten. Die Vereinigten Nationen in dem Zentrum symbolisiert die Einheit. Gleich über der Weltkarte stehen die drei Sonnenzeichnen, welche in den Flaggen von Argentinien, Antigua & Barbuda, und Uruguay (von links nach rechts) zu sehen sind und symbolisieren, dass die Lichtstrahlen und Hoffnung in Richtung der Flagge von Tibet nach oben scheinen. Diese vier Flaggen repräsentieren gemeinsam die lebensspendende Stärke der Sonne, die sowohl auf die Erde als auch nach oben in Richtung der Flagge von Afghanistan scheint, welche links an Swasiland und rechts an Kenia grenzt ist. Innerhalb dieser drei Flaggen die Symbole der Hoffnung, des Friedens und der Freiheit stehen den inneren Konflikten von Afghanistan gegenüber mit denen sich das Land heutzutage konfrontieren muss. Die wahre Bedeutung dieser Symbole ist in der Stammesgeschichte dieser Nationen zu finden. Obwohl die nächsten drei Flaggen der Vatikanstadt, Saudi Arabien und Israel (von links nach rechst)nicht alle Religionen der Welt umfassen, stehen sie als symbolische Herausforderungen um die Überwindung der Religionspolitik und um einen gemeinsamen geistigen Grund zu schöpfen. Über diesen Flaggen symbolisieren die Olivenzweigen von Zypern Frieden und Hoffnung. Oben erreichen die Wurzeln der Norfolk Insel das Weiße von Zypern, welche den Frieden symbolisiert, und ist als ein Boden zu betrachten aus welchem ein neues Leben entstehen kann. Durch die Flaggen der Vereinigten Staaten, Irland und Italien wird das multikulturelle Erbe des Flaggendesigners wiedergegeben. Nach links von den Vereinigten Staaten von Amerika liegt China. Dies symbolisiert die gegenüberstehenden Spannungen der wirtschaftlichen und militärischen Kräfte der Welt. USA und Russland, welche auf der Erde gegenüberliegen, symbolisieren die gegenüberstehenden Mächte, deren kollektive Aktivität eine große Auswirkung auf den Planeten als Ganzes ausüben kann. 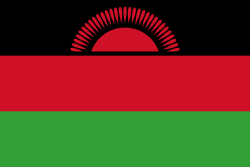 Nach rechts von Russland liegt Lesotho, dessen Flagge die Unabhängigkeit, den Frieden und die Stabilität symbolisiert, welche die Bestrebung Russlands nach Freiheit und Demokratie vertreten. Unter Russland liegt Barbados, dessen Dreizack den Aufstieg Russlands aus der Tiefe des Kommunismus in Richtung eines demokratischeren Regierungssystems symbolisiert. Länder des Arabischen Frühlings 2010-2011 schließen sich in der kräftigen Form der Zugvögel zusammen, was das Fliegen oder Anstieg nach Freiheit, Demokratie und die menschlichen Rechte in der Welt repräsentiert und konkreter den Mittleren Osten. The World Flag was created as a Visual Catalyst. It fly(s) as a unifying symbol inspiring positive global change while continuing to embrace and celebrate cultural diversity. The World Flag Project raises awareness in the areas of Education, World Health, Human Rights and the Environment. Created in 1988 by Paul Carroll, the World Flag is a global image meant to resonate with the people of the world. The design of the World Flag has in the center an image of the world surrounded by 216 flags. 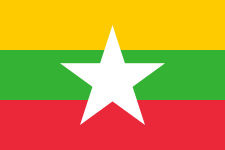 They include every national flag, the flag of the United Nations and some flags of territories dependent in one way or other on larger countries. The distribution of the flags within the design is not random. Underlying symbolism and design innuendo create further depth and meaning . As a “Living Flag -Evolving with History”, each iteration serves as a historic rendering in time. Because of their inherent symbolic, nationalistic, and subconscious power, individual flags offered inherent possibilities for Carroll’s vision. He wrote, “Moving individual flags into the global realm—transcending borders, race, and religions—creates unique impact from micro to macro and back.” The World Flag’s potential to engage individuals and children from around the world is immense. “The power of symbols to both inspire and unite people finds it’s most relevant and meaningful perfection in the national flags and banners of the world.” New Scientist, 5 December 2007. The World Flag; Teaching Unity – Sharing Diversity. “I am often asked whether there is life after death. Certainly there is. There is also death after life, and life before death, and death before life. It goes on forever. There is just no stopping it. You will live forever, and die forever. In fact, you already have. As for Heaven and Hell, they are right here on Earth, and it is up to each of you in which one you choose to reside. To put it simply, Heaven is living in your hopes and Hell is living in your fears. In the traditional image, where hell is down and heaven is up, one escapes from hell by digging a hole in the ceiling. Though in an age of downers and uppers down and up no longer make sense, it is still possible to think of in and out. Think of Hell as in and heaven as out. To get out of hell you expand your soul until it is pushing on all the walls from the inside all the way around. If you just maintain a steady pressure, your soul will gradually filter out into limitless heaven beyond. One problem with the notion of Heaven and Hell, however, is that, although they are exact opposites, an astonishing number of people see to be confused about which is which. For example, all over the United States on this very evening, commencement speakers are standing before audiences not greatly unlike yourselves, describing Hell as if they were talking about Heaven. Their speakers are saying things such as, “Graduating Seniors, you have reached the golden threshold of maturity; it is time now to go out into the world and take up the challenge of life, time to face your hallowed responsibility.”And if that isn’t one Hell of a note, it’s certainly one not of Hell. Growing up is a trap. As for responsibility, I am forced to ask, “Responsibility to what?” To our fellow humans? Two weeks ago, the newspapers reported that a federal court had ruled that when a person’s brain stops functioning, that person is legally dead, even though his of her heart may continue to beat. That means that 80% of the population of the Earth is legally dead. Must we be responsibly to corpses? No, you have no responsibility except to be yourself to the fullest limit of yourself, and to find out who you are. Or, perhaps I should say, to remember who you are. Because deep down in the secret velvet of your heart, far beyond your name and your address, each of you knows who you really are. And that being who is the true you cannot help but behave graciously to all other beings- because it is all other beings. Yet, we are constantly reminded of our…”responsibility”. Responsibility means “obey orders without question, don’t rock the boat, and for God’s sake, get a job.” (Get a job. Sha na na na) That’s the scary one. Get a job. It is said as if it were a holy and inviolable law of nature. But the fact is although cultural humanity has been on earth for some 2 million years, they very concept of jobs is only about 500 years old. A drop in the bucket, to coin the phrase. And with advent of an electronic cybernetic automated technology, jobs are on the way out again. Jobs were just a splash in the pan, a passing fancy. There is no realistic relationship between jobs and work (work being defined as simply one of the more serious aspects of play) any more than there is a realistic relationship between jobs and eating. It is curious how many people believe that if it weren’t for jobs they couldn’t eat. As, if it weren’t for Boeing, their jaws wouldn’t chew; if it weren’t for the Navy their bowels wouldn’t move, and if it weren’t for Weyerhauser (that great destroyer of plants), plants wouldn’t grow. Technocratic assumptions about the identity of humanity, society and nature have warped our experience at it’s source and obscured the basic natural sense of things. Rabbits don’t have jobs. When was the last time you heard of a rabbit starving to death? Ah, but we must be responsible, and if we are, then we are rewarded with the wite man’s legal equivalent of looting: a steady job, secure income, easy credit, free access to all the local emporiums and a home of your own to pile the merchandise in! And so what if there is no magic in your life, no wonder, no amazement, no playfulness, no peace of mind, no sense of unity with the universe, no giggling joy, no burning passion, no deep understanding, no overwhelming love? At least your ego has the satisfaction of knowing you are a responsible citizen. As a matter of fact, the entire System into which you were born, and which now, upon completion of high (high?) school you must perhaps face more directly, is a System designed to trap you – and manipulate you as a co-operating slave, a System designed to steep you you Hell. Hell is living in your fears, and it is through fear, both subtle and overt, that the System traps you. Fear of failure, fear of social rejection, fear of poverty, fear of punishment, fear of death. old and obviously effective trick. and means of the Ancient Yogi masters, Pied Pipers, cloud walkers and medicine men. Get in harmony with nature. Listen to the loony rhythms of your blood. Look for beauty and poetry in everything in life. Let there be no moon that does not know you, no spring that does not lick you with it’s tongues. Refuse to play it safe, for it is from the wavering edge of risk that the sweetest honey of freedom drips. Live dangerously, live lovingly, Believe in magic, Nourish your imagination. Use your head, even if it means going out of your mind. Learn, like the lemon and the tomato learned, the laws of the sun. Become aware, like the jungle became aware, of your own perfume. Remember that life is much too serious to take seriously – - so never forget how to play. In times of doubt and chaos, it has been the duty of the superior persons- artists, poets, scientists, clowns, and philosophers (certainly no statesmen or military heroes)- to create order in the psychic vibrations of their fellow beings. But in times such as ours, times that are too carefully ordered, too strictly organized, too expertly managed thoroughly programmed and craftily planned, times in which too few control too many, it is the duty of all feeling, thinking humanitarian people to toss their favorite monkey wrenches into the machinery. On second thought, you do have some responsibility to your fellow beings. To relieve the repression of the human spirit, it is your sacred duty to screw things up royally. Looking at you tonight, I know you’re going to do just fine. Let me wrap this up with a few short questions I am often asked. (1) Will we be eaten by bugs and worms? (2) Does your soul fly out of your body the moment that you die? (3) Is Jesus coming back? Yes all the time. And so are you. All souls echo forever throught the universe. This speech given over 100 years ago could not be more appropriate today than it was then! The present convention, which is one of the most august assemblies ever held, is in itself a vindication, a declaration to the world of the wonderful doctrine preached in the Gita: “Whosoever comes to Me, through whatsoever form, I reach him; all men are struggling through paths which in the end lead to me.” Sectarianism, bigotry, and its horrible descendant, fanaticism, have long possessed this beautiful earth. They have filled the earth with violence, drenched it often and often with human blood, destroyed civilization and sent whole nations to despair. Had it not been for these horrible demons, human society would be far more advanced than it is now. But their time is come; and I fervently hope that the bell that tolled this morning in honor of this convention may be the death-knell of all fanaticism, of all persecutions with the sword or with the pen, and of all uncharitable feelings between persons wending their way to the same goal. the best way to design a life preserver is in the form of a piano top. give knowledgeable advantage in all instances. — to find some way of resolving our common dilemmas. am capable — though that may not take us very far into the future. that is, for a quarter-century, but some of it went on for a halfcentury, to 1977. We are excited to bring you the updated 2011 edition of The World Flag! Since its inception in 1988, there have been four different versions of The Flag; each edition offers a reflection of our world during that time in history. 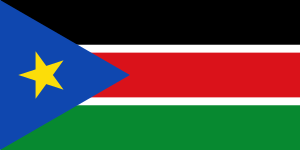 Some of the major changes on the 2011 World Flag are the Arab Spring nations connected in the shape of a bird in flight; the new flags of, Malawi, Libya, Lesotho, Burma, and Venezuela; and the addition of South Sudan as a new country. The Arab Spring connected in the shape of a bird in flight. In keeping with World Flag tradition, there are many symbolic reasons behind the placement of individual country flags. We’ll be exploring this symbolism in future blog posts so stay tuned!